Tooth decay is commonly associated with the holidays, often perceived as something that only happens to children. But in reality, tooth decay, also known as cavities, can affect patients of all ages. Here at Family and Implant Dentistry, we know what extremes can arise from untreated tooth decay, and work hard to catch this disease early and treat it. Even those who have a damaged tooth from decay can restore their smile with a root canal treatment. Read along to learn more. With this reduction in enamel, the plaque starts to leave dark cracks, pits, or holes in your teeth. Other warning signs include increased sensitivity, pain, or discoloration in the tooth. At this point, the decay is progressing through the layers of the tooth. If it’s caught early, these decaying spots can be cleaned and filled in with a tooth-colored resin to prevent further decay. However, if the decay descends through more layers to the sensitive pulp center, a root canal may be recommended by Dr. Hoffman. A root canal is a more invasive procedure than a filling, that clears out the diseased tissues within the tooth’s pulp and fills it in with a tooth-colored resin. 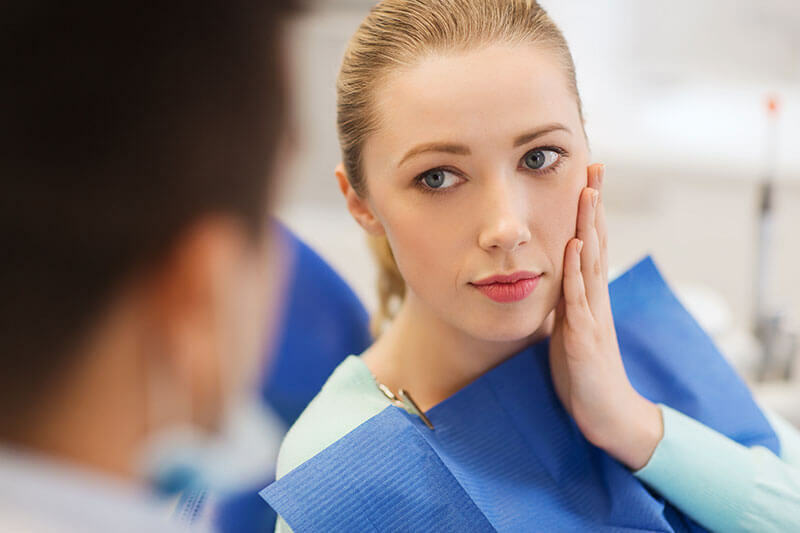 After a local anesthetic is applied, our dentists will go in and remove the affected pulp, which oftentimes includes removing the blood vessels and nerve endings. However, in spite of the removal, the tooth does not need to be removed. Instead, the space will be filled with a resin, and the entire tooth will be covered with a crown. These crowns are customized to mimic your affected tooth in look and feel. It essentially restores your smile, while also protecting the tooth and the recent root canal. Patients can rest assured that their crown will be as functional as a real tooth. The top benefit of the root canal is clearing out the diseased tissue. Severe dental caries can feel excruciating, interrupting your ability to live a normal life. This includes disrupting sleep, work time, and being social. The other options would be a tooth extraction, which is irreversible and could cost you more to replace the tooth entirely. A tooth that is extracted also leaves a large gap in your smile that may appear unattractive, and can be harmful for your jawbone. Missing teeth can lead to difficulty chewing, speaking, and possible TMJ (temporomandibular joint disorder) conditions in the future. A root canal clears out the affected tissue while also keeping the tooth whole and sound in the jaw. In addition, your root canal is capped with a crown in order to protect the root canal and keep your smile seamless. Here in Lincoln, NE we believe that great oral health care begins with a clean and comfortable smile. If you have rampant tooth decay that has damaged your teeth, and are in fear of losing that tooth, consider a root canal from Family and Implant Dentistry to help save your smile.